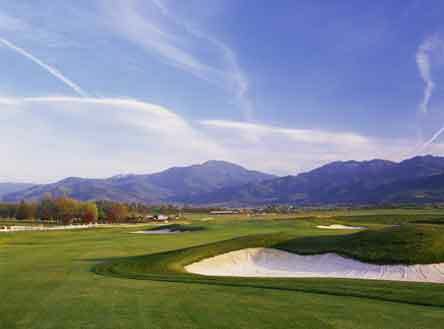 Centennial Golf Club has elevated the standard of golf group outings in Southern Oregon. The combination of spectacular golf, dramatic views and expert tournament coordination will ensure that your next special event, group outing, or tournament is a cut above. This new facility boasts 18 holes of stunning golf designed by two time PGA Tour winner and 1977 US Amateur Champion, John Fought. Professionally managed by Scottsdale-based, OB Sports, Centennial Golf Club offers extraordinary group services and an exceptional value. Leaving nothing to chance, our expert event coordinators will work with you hand in hand to create and execute a successful and memorable event that will exceed your participants' expectations. Group and tournament green fee rates vary depending on the amount of players, season, time of day, etc. For a specific golf group outing or tournament quote CLICK HERE. Centennial Golf Club welcomes all outings and looks forward to the opportunity to host your event.